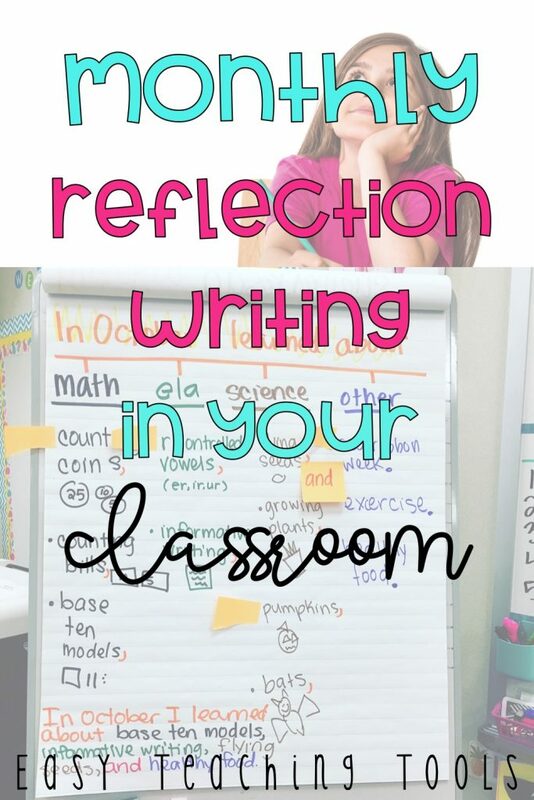 It’s important for students to reflect on their learning. 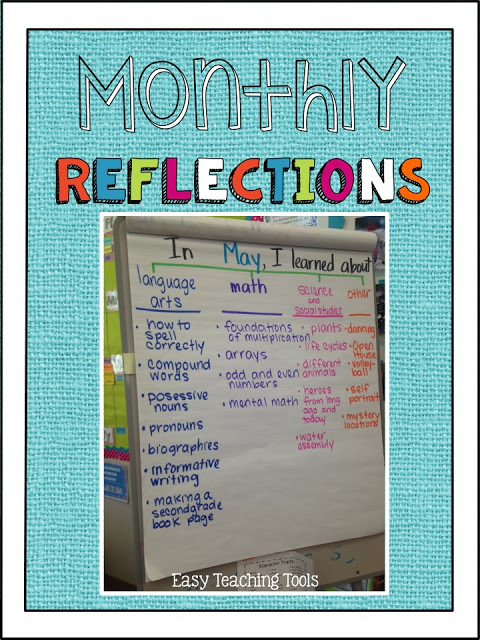 This is a simple, yet powerful monthly reflection strategy that works well for students in K-2. 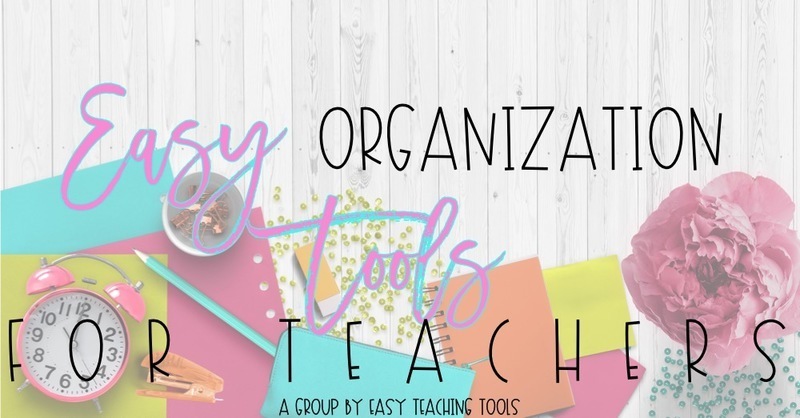 You can send it home right away to share learning with parents, include the chart in your newsletter, or keep student writing in your memory book for a keepsake. I’m a fan of thinking maps so we like to use a bubble map or tree map (as shown). At the top of the chart, I write “In ______, I learned about…” Later on, students will use that as their topic sentence. 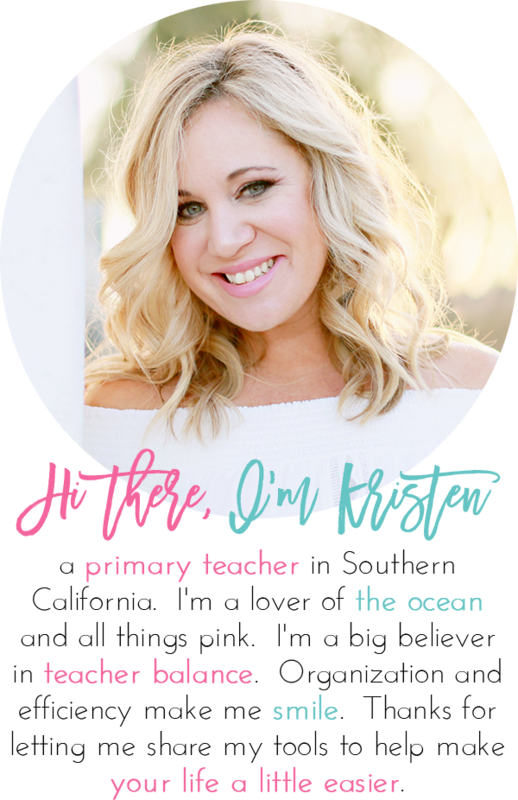 I create headings for Language Arts and every month, on cue, they ask “What’s language arts?” I also include math, social studies, science, and other, for those other things like PE, art, holidays, and such! We brainstorm our thinking, column-by-column. I always give them time to discuss their thinking with a neighbor before we share out and add their ideas to the thinking map. 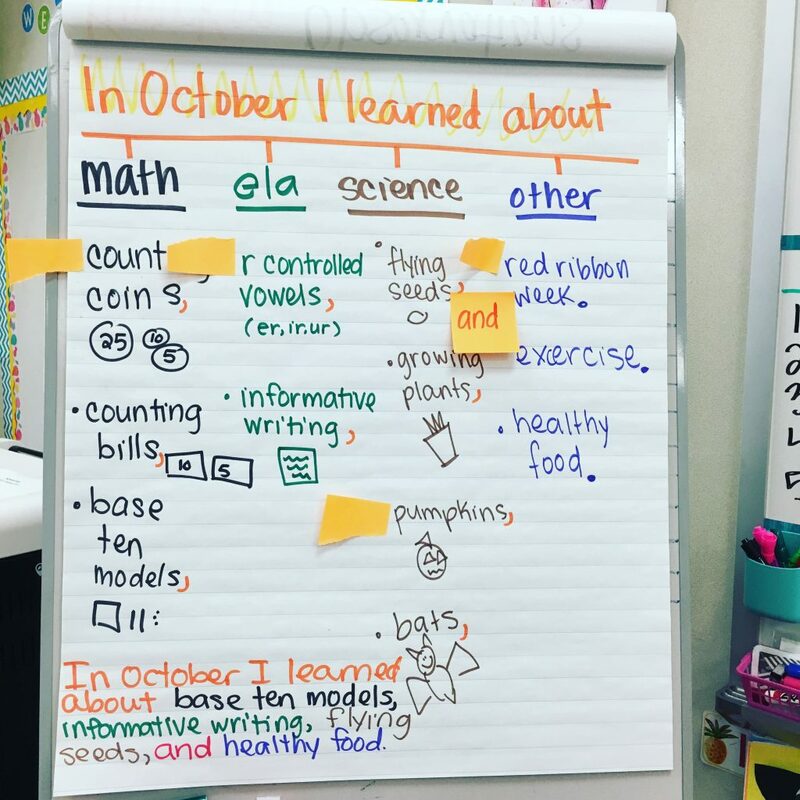 Tip: I prefer to color code their thinking so it’s visually, easier for them when they go back to their seats and write their sentence using ideas from the map. 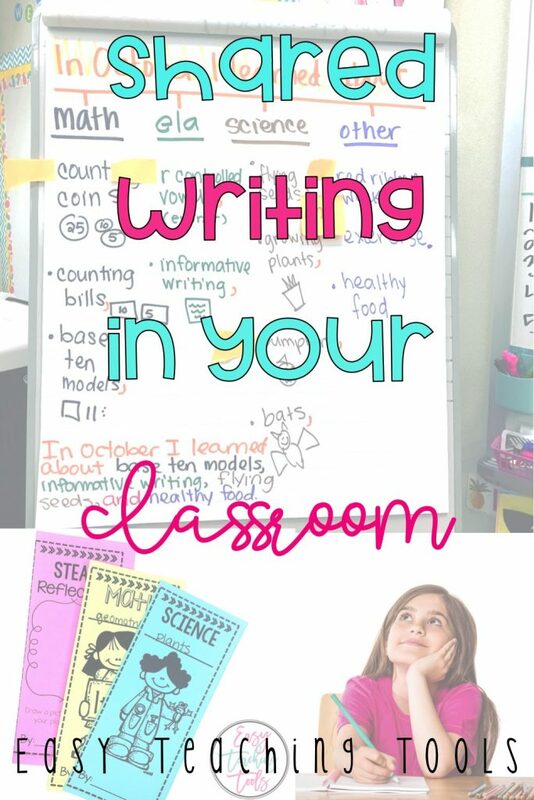 It’s especially helpful for younger grades and EL students. At the beginning of the year, I add commas at the end of each idea, the word “and” between the second-to last and last thought, and a period at the end of each last thought to remind my kiddos to use proper punctuation. 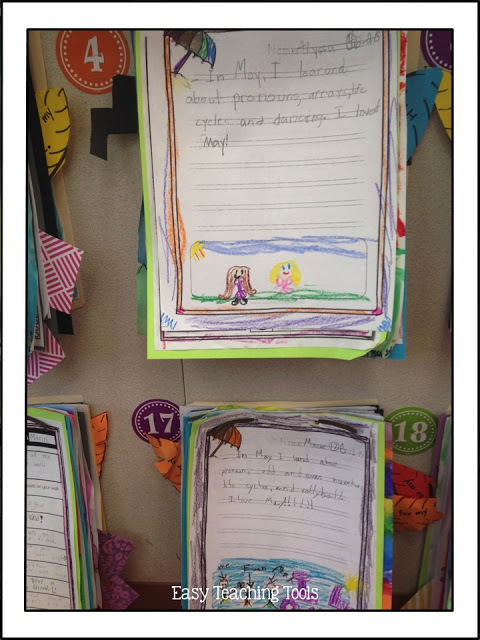 I also use sticky notes to model how to organize these ideas into a complete sentence. I’ll ask a friend to choose something from the language arts column and put a sticky. Another friend chooses something from math, sticky. We follow this pattern until we have gone through all of the columns. 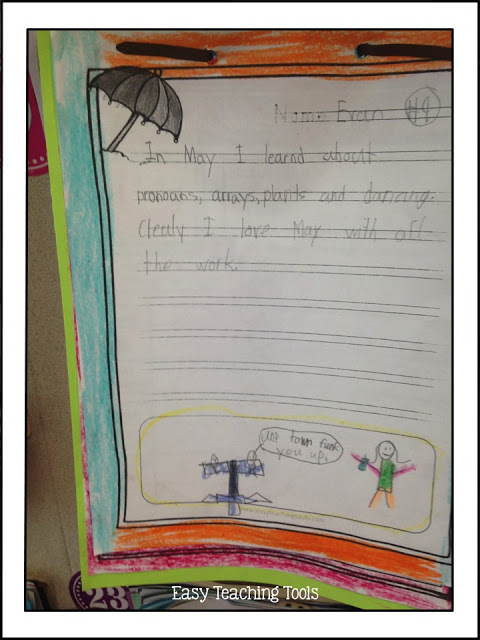 Then, I would model how I use those ideas and write them in a complete sentence. Most times, my friends like to put their fancy paper on a clipboard and come to the carpet to see the easel better. When they’re done writing, they go back to their desk to color it and then they add it to their memory book. It’s a perfect addition to their memory book! 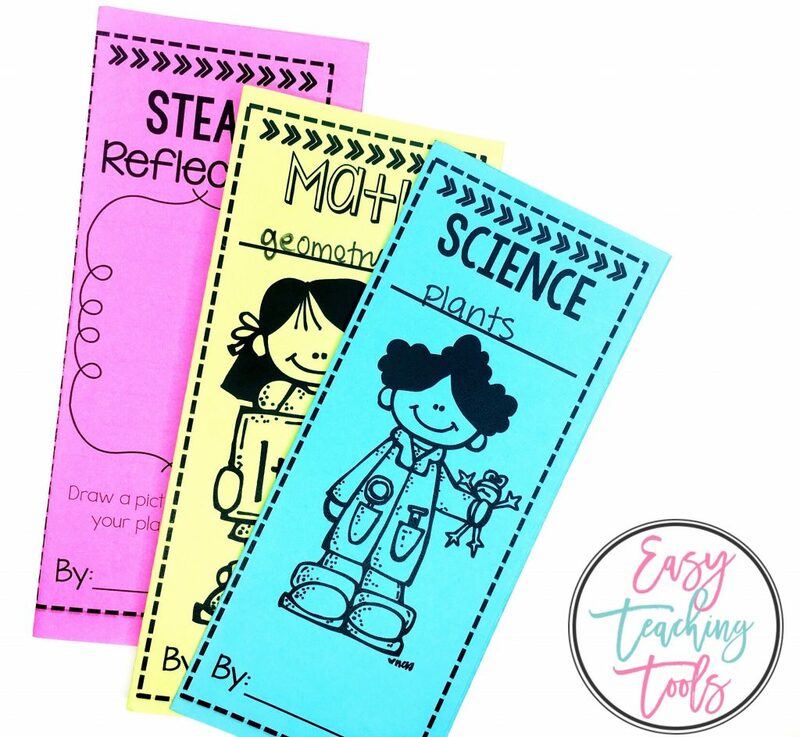 I’ve blogged about how to make these easy memory books before! In the past, I’d save the anchor charts and we’d review them at the end of the year. Sometimes, we change it up and use reflection pamphlets to share about our learning by subject area or by month. I hope this is something you find valuable in your class! What a great idea! Thanks for posting this. 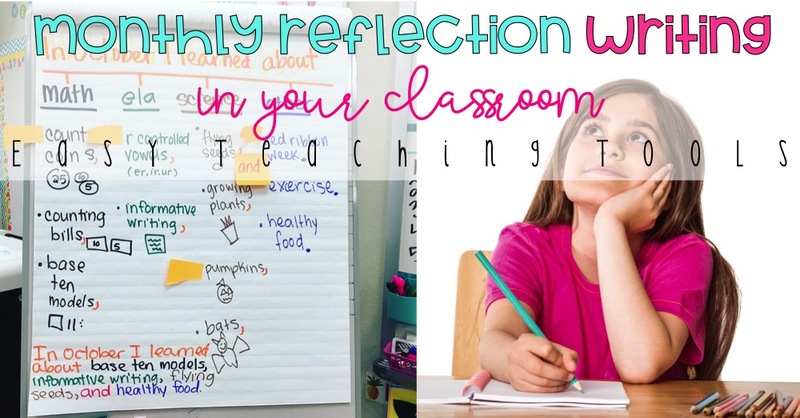 I always try to have my students reflect at the end of the year, but they often can't remember everything in the order we learned it. I like having the anchor charts as a community record of what we have learned together. I LOVE this idea. I always want to make them reflect but never get to it. SIGH.